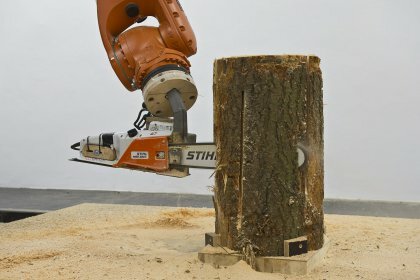 The stackable 7Xstool is cut right from a tree trunk with a chainsaw by an industrial robot. 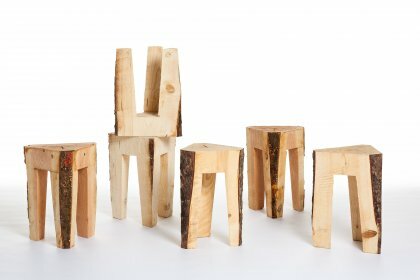 This unusual production process was developed by Tom Pawlofsky, and enables him to realize the stool design which was drafted together with Tibor Weissmahr. 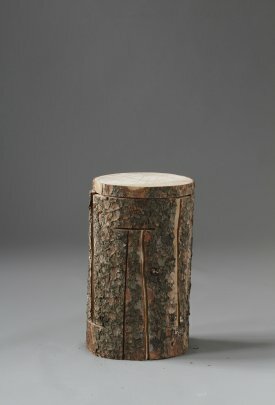 The different tree trunks vary in their bark, grain, and branches, making each stool one of a kind. 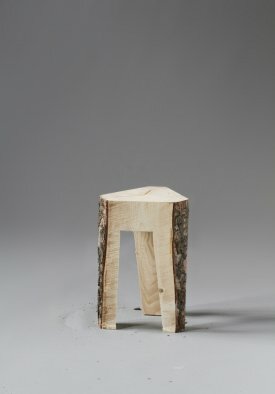 By cleverly planning the saw's tracks the production of these stools, twice at a time, is almost scrap-free. 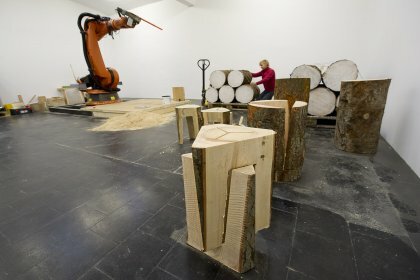 The name of the stools is derived from the seven axes on which the robot arm operates.